"We're doing everything to reduce the probability of injury on the understanding it can never be zero." Drivers with their names marked in red died at an official Formula One Championship race. On this list are only the drivers who competed on Indianapolis 500 plus at least one FIA World Championship race. To know more about safety in Formula 1, development in safety after incidents and tragedies, check article about safety. Thomas Maldwyn Pryce was a British racing driver. He was famous for winning the Brands Hatch Race of Champions (a non-championship Formula One race) in 1975 and for the circumstances surrounding his death. 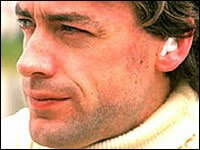 Pryce started his career in Formula One with the small Token team. Pryce's third full season at Shadow was cut short by his fatal accident at the 1977 South African Grand Prix, where he collided at high speed with track marshal Frederik Jansen Van Vuuren who was running across the track with extinguisher in his hands, to tend to another car, the Shadow of Pryce's team-mate that had stopped and caught fire. Tom was killed in a grueling crash when heavy extinguisher hit him on the head and killed him instantly. The 270-kmh impact was so great that the extinguisher flew over the grandstand and damaged a car in the car park. Tom was partially decapitated. With Pryce's foot still on the throttle, the Shadow continued at speed, banging along a wall on the right before ploughing through catch-fencing and smashing into the bank. 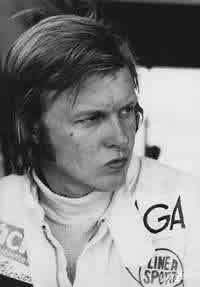 Bengt Ronnie Peterson began his career of motorracing in kart racing, traditionally the discipline where a majority of race drivers begin their career in open wheel racing. After winning a number of karting titles, including two Swedish titles in 1963 and 1964, the Swede moved onto Formula Three where he won the prestigious Monaco Grand Prix Formula Three support race for the 1969 Grand Prix. Later that year he won the European Formula Three Championship and 1970 moved up into Formula One, racing for the March factory team. In his three year spell with the team, he took four podiums, all scored in 1971, and also finished runner-up in the Drivers' Championship that year as well. Peterson joined Colin Chapman's Lotus squad in 1973, partnering defending champion Emerson Fittipaldi. Peterson - who was as charming and gentle out of the cockpit as he was spectacular in it - and the ability to wrest his car back from the brink time and time again was simply spell-binding to watch. But behind the buccaneering, the famously non-technically-minded Scandinavian was a man of honour. He was always a firm fan favourite. At the start of 1978 Italian Grand Prix at Monza, the race starter threw the green light before the field was ready to start. Several cars in the middle of the field got a jump on those at the front, and the result was a mess of the cars as they approached the chicane, bunching the cars tightly together. James Hunt collided with Peterson and with Riccardo Patrese, Vittorio Brambilla, Hans-Joachim Stuck, Patrick Depailler, Didier Pironi, Derek Daly, Clay Regazzoni and Brett Lunger all involved in the ensuing melee. Peterson's Lotus went into the barriers hard and caught fire. He was trapped, but Hunt, Regazzoni and Depailler managed to free him from the wreck before he received more than minor burns. He was dragged free and laid in the middle of the track fully conscious, his severe leg injuries obvious to all. At the time there was more concern for Brambilla, who was hit on the head by a flying wheel and was slumped comatose in his car (he later recovered and drove on in F1 until 1980). Peterson's life was not seen to be in any danger. The injured drivers were taken to hospital in Milan and the race was restarted. During the night, bone marrow went into Peterson's bloodstream through the fractures, forming fat globules on his major organs including lungs, liver, and brain. By morning he was in full renal failure and was declared dead a few hours later. The cause of death was given as fat embolism. 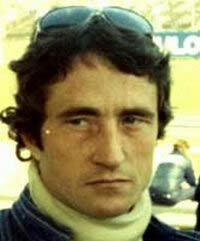 Patrick André Eugene Joseph Depailler debu in F1 was on 2 July 1972 French Grand Prix. He raced for Tyrrell, Ligier and Alfa Romeo. Talented and charismatic, Depailler never quite drove the kind of machinery his talent deserved, joining a Tyrrell team that was beginning a long, slow decline, eventually moving to the erratic Ligier team before finally ending up with the revived Alfa Romeo squad in 1980. Depailler was helping to advance this new team, revived Alfa Romeo squad, up the grid when he was killed in a crash at Hockenheim on 1 August 1980, during a private testing session. He was killed when a suspension failure pitched his car into the armco at the high-speed Ostkurve at 280 km/h, inflicting fatal head injuries when the vehicle overturned and vaulted the barrier. The Alfa Romeo skidded along the top of the guard rail for hundred meters prior to flipping onto its top. He died instantly. - f1technical.net, a great site with a lot of technical information’s and explanations. Site is updated daily with news from F1 word. - autosport.com, This site is a legend. A bible for racing lovers. News from all around the word. Unfortunately, to get access to all news, interviews and to open the site completely you should be subscribed to Autosport magazine. Anyway, great read. - vitalf1.com/ is another great site for Motor Sports fan’s like me. Site is relatively new, but great fun, with great discussion forum, Formula 1 news and forum. - planetf1, another site with many different articles, news and statistics. Biased toward British teams, but anyway good read. - gurneyflap.com, Great history site. You can learn a lot from this site. Pictures, cars and many many more. Great. - 4ormula1 is a database of Formula 1 history and statistics of drivers, teams, grand prix, and all results since 1950. Enjoy range of Podcasts and Articles on Motorsport. Every week a Formula one chat on Missed Apex F1 Podcast with F1 journalist Joe Saward and tech Analyst Matthew Somerfield as guests. Also the exciting all electric racing series formula E on eRadio Show and Bike Show Lean Angle Podcast. - fia.com, La Fédération Internationale de l'Automobile, representing the interests of motoring organisations and motor car users. Head organisation and ruler in auto sport. - wikipedia.org, I don’t believe that I have to tell you anything about this site. It’s not about Formula 1 technology, but you can learn a lot about that too. - carbibles.com, a great site for normal car users. Here you can find explanations of almost everything about your car and how it works. Technical reviews and explanations of some in-car gadgets. - Daretobedifferent.org Susie Wolff and UK governing body of UK motorsport have joined forces to launch Dare To Be Different, a high-profile new initiative which is about increasing female participation, not just on the track but in all aspects of the sport.